Pastor J.A. MOLAND: A native of Pattison, Mississippi. He is married to Mrs. Felicia Debose-Moland. 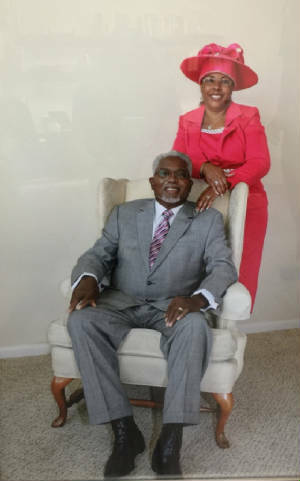 He is the Senior Pastor of the Greater Peace Missionary Baptist Church, in Killeen, Texas. Pastor Moland is a graduate of the University of Mary Hardin-Baylor, Belton, Texas. He has done graduate work in Religion at Baylor University in Waco, Texas. He is a humble servant of the Lord and annointed teacher-preacher of God's Word. Pastor Moland's experiences in ministry have afforded him the opportunity to serve beyond the walls of Greater Peace Missionary Baptist Church. In Ministry, he constantly emphasizes; "Taking God at His Word", is a primary responsibility of every Christian.